WATCH: Mt Larcom Show preview: Animal Nursery volunteer Ann Hosking talks about this weekend's Mt Larcom Show. THERE'S less than a week to go but the grass has been mown and the new woodchopper's shed is undergoing finishing touches for the annual Mt Larcom Show. Animal Nursery organiser Ann Hosking has been volunteering at the show since 1990, and said she "just likes animals". 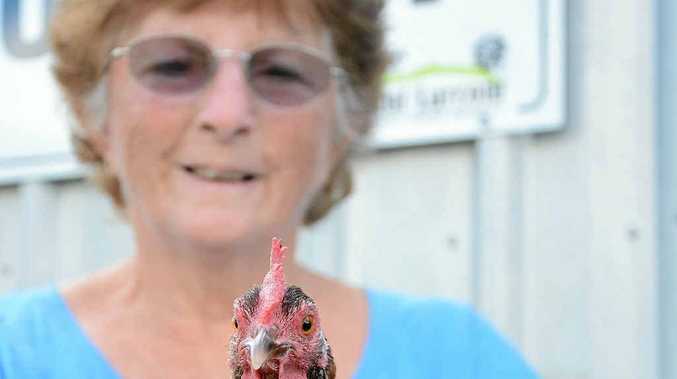 "I have two dogs, a cat, some fish, my chooks, and 22 head of cattle, which are my husband's hobby," she said. She said the nursery would be full-on over the weekend, and encouraged parents to bring their children along and meet some of the furry fauna. "There's people right on the doorstep first thing seeing what poultry is available to buy," she said. "We need younger people to come in and help with the show. It's good, you make lifelong friends and it's a combined effort to make it happen."